You are purchasing a First Aider Information Point (Health and Safety) Metal Wall sign. 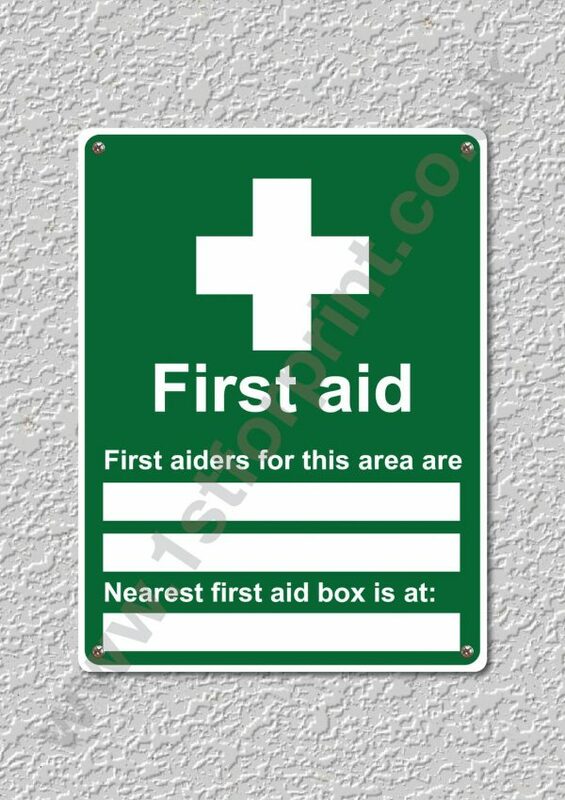 You are purchasing a First Aider Information Point (Health and Safety) Metal Wall sign. Please note that screws or wall fixings are NOT included. Each sign is punched in each corner with a small 3mm hole to allow you to apply it to any surface with small panel pins or small screws. This sign is suitable for both indoor and outdoor use. We post in a card backed envelope. The overall size is approximately A5 (20cm x 15cm approx or 6 inch x 8 inch approx) and has rounded corners. Please note that the colours on your monitor may vary from the actual printed product.